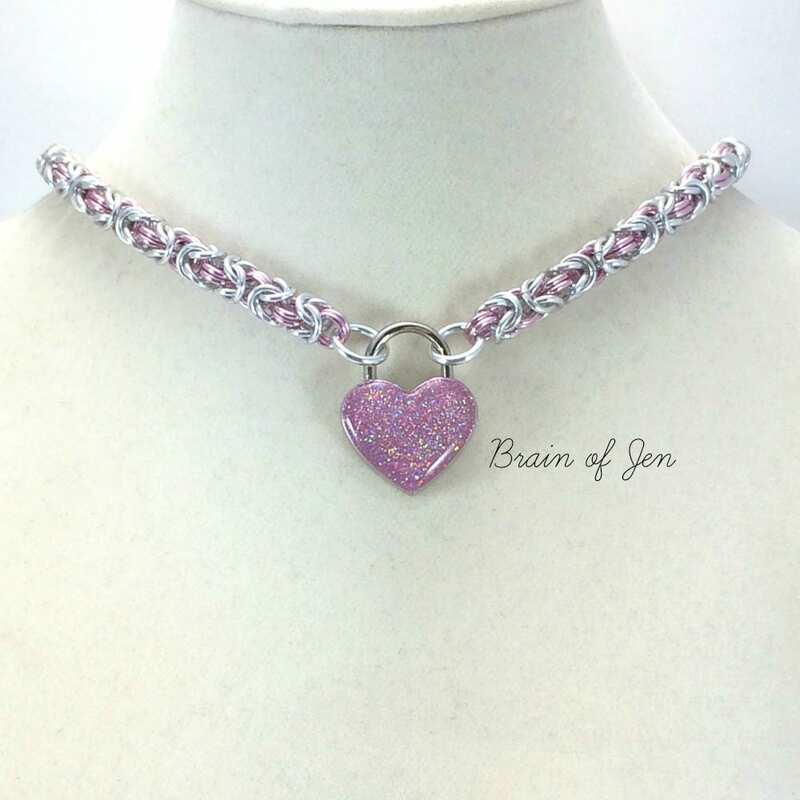 This pretty and feminine chainmail day collar is made by hand using bright silver and soft pink anodized aluminum rings in a Byzantine weave, with a small polished nickel silver heart shaped padlock closure at the front. 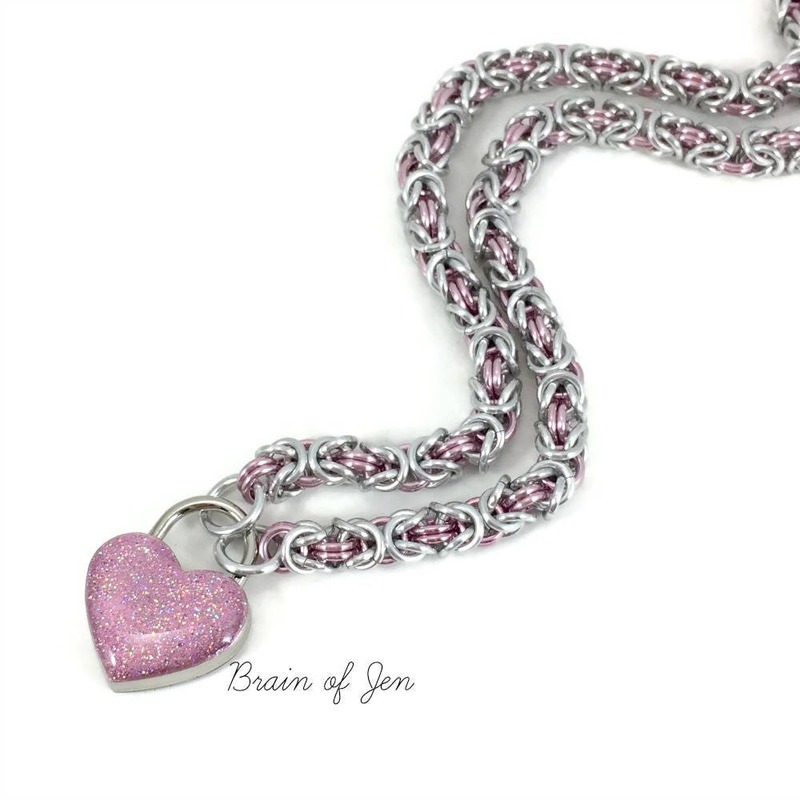 The lock is reversible, you can have the keyhole showing at the front, or flip it over to reveal the back which has been decorated with shiny cotton candy pink enamel with a super sparkly, druzy gemstone-like finish to catch the light, adding a touch of glamour. 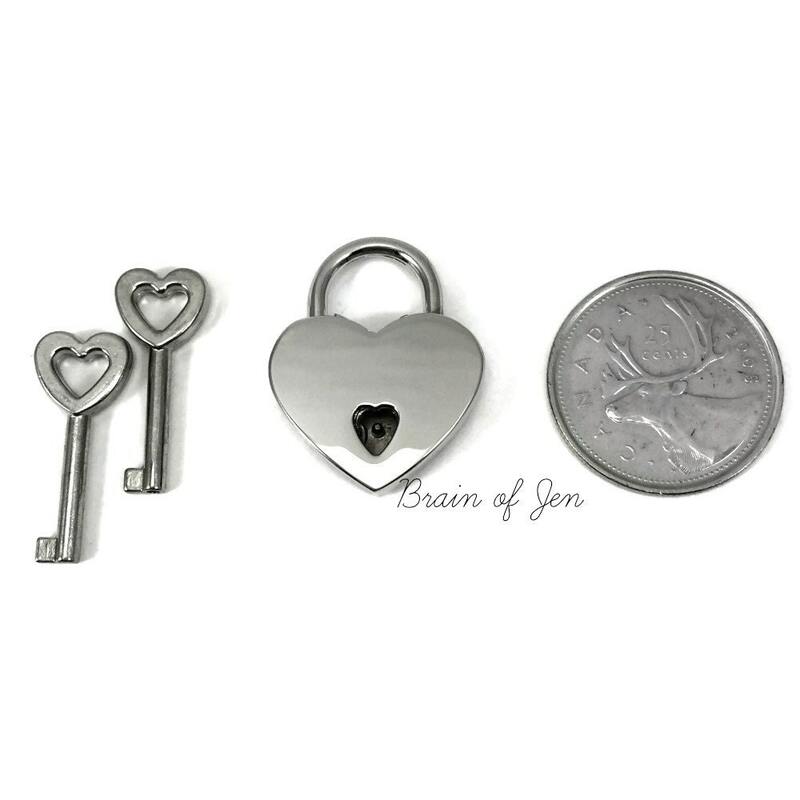 The lock measures about 22 mm, and comes with two keys. She does beautiful work! I wear mine 24/7 and never ever have a problem with it. I couldn’t be happier with it! It is absolutely splendid! Daddy was more then thrilled when we got this and it turned out so wonderful. 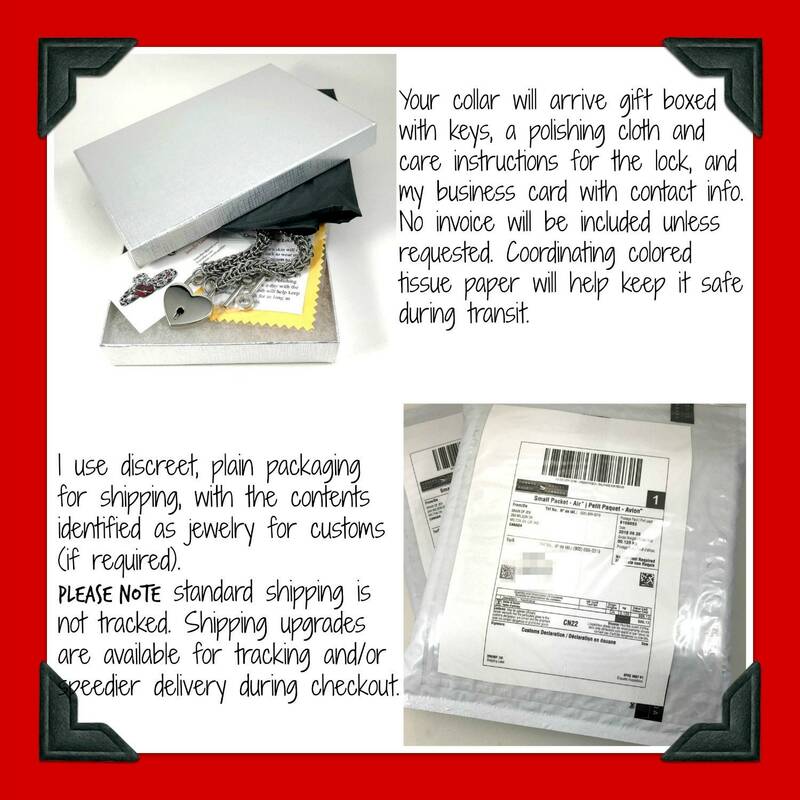 The shipping was a breeze and the product was just as described! Looking forward to another happy purchase in the future! 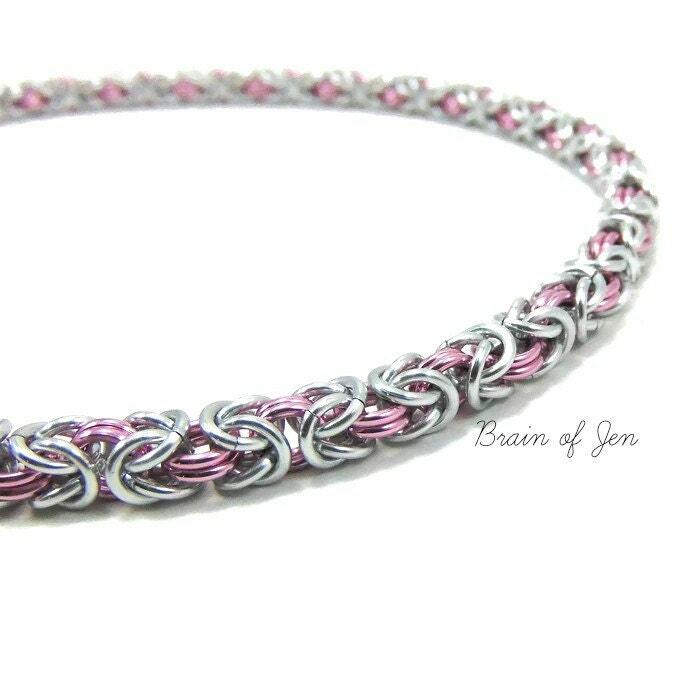 Such a beautiful item. I can not wait to wear it. 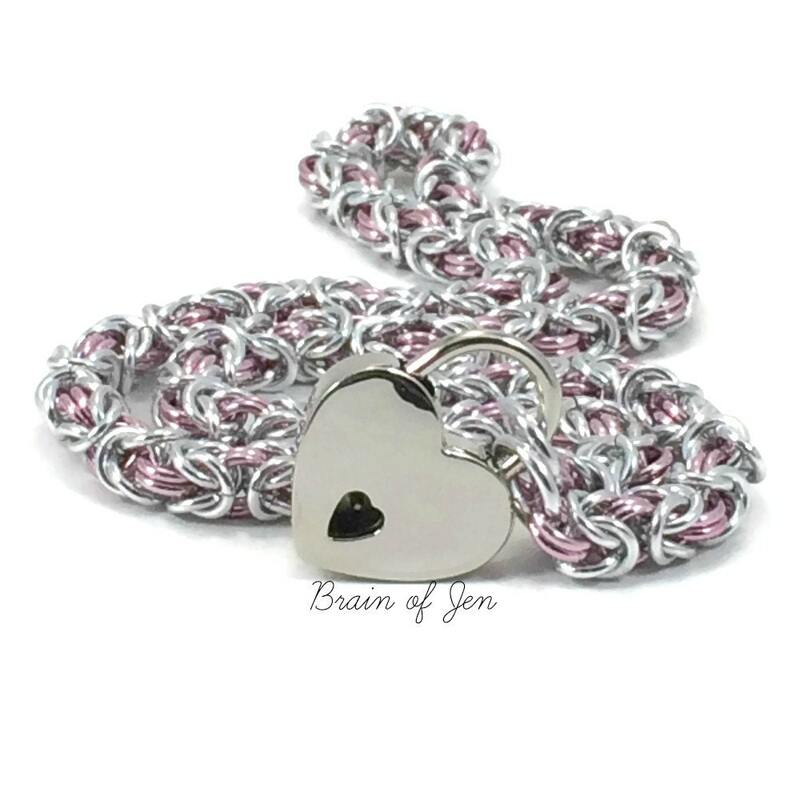 Jen was amazing to deal with and the quality is amazing.